Does Bernie Sanders Offer Education Advocates Enough? Are We Feelin’ the Bern or Just Feelin’ Burned? You probably didn’t hear about this on the news. To my knowledge no one covered it on TV, the newspaper or even on the blogosphere. But Bernie Sanders may have made a reply to his Democratic Primary rival Hillary Clinton’s gaffe about closing public schools. “I wouldn’t keep any school open that wasn’t doing a better than average job,” Clinton said at a campaign stop in Iowa on Dec. 22. The media took this to mean Clinton is in favor of closing half the schools in the country. The comment has been much debated with calls for context and explanation by the Clinton campaign. The @BernieSanders twitter account has more than 1 million followers, a little less than the @SenSanders account. But it does appear to be affiliated with the Bernie Sanders presidential campaign. If Sanders, himself, posted the tweet is unclear. The candidate used the same account to live tweet the Republican debates so he – at least sometimes – is personally responsible for the material that comes out of there. Moreover, the comment can be connected directly to something he said on C-SPAN at a campaign stop in Cleveland, OH, on Nov. 16 – before Clinton’s gaffe. In a larger speech that touched on numerous issues he said, “We should not be firing teachers and childcare workers, we should be hiring teachers.” The line about teachers being American heroes is new. Start the speech 56 minutes in to hear the comment. So I think it’s fair to say that the sentiment is, in fact, Bernie’s. It’s only the timing that is in question. Is this tweet an attempt to distinguish himself from Clinton? Is this his way of saying that he’s NOT interested in closing schools and firing teachers – instead he wants to invest in education and hire more educators? It sure would be nice if he’d come out and tell us. Frankly, I’m getting tired of having to read the tea leaves to get a glimpse of Bernie’s K-12 education policy. Don’t get me wrong. I love the guy. He’s been one of my favorite politicians for years. As a U.S. Senator, he’s consistently worked against economic and social inequality for decades. He’s been a fearless critic of Wall Street and privatization, an advocate for single payer healthcare and fighting global climate change. He champions historic investments in preschool and college – even vowing to make post secondary tuition free. But somehow when it comes to K-12 schools, he’s got very little to say. Most notably, he voted against No Child Left Behind (NCLB) – the devastating schools bill passed with bipartisan support during the George W. Bush years. However, he also voted in favor of the Charter School Expansion Act of 1998 which further opened the nation’s piggy bank to for-profit school privatizers. He also opposed a bill in early 2015 that would have prohibited the federal government from imposing the terrible Common Core standards on the nation’s schools. On the campaign trail, when asked about his stance on K-12 schools, Sanders has boasted he would end NCLB. That was just accomplished by Congress through a reauthorization of the bill now called the Every Student Succeeds Act (ESSA). As a member of the Health, Education, Labor and Pensions (HELP) Committee, Sanders was an active participant in that process. When this legislation was still in the Senate, he – along with almost all Democrats – voted for a failed amendment that would have continued most of the worst aspects of NCLB. The bill eventually passed the chamber in a potentially more palatable form. Sanders eventually voted for that Senate version but was conspicuously absent from the final vote. Though keeping a busy campaign schedule, Sanders is known for returning to Washington to vote for important legislation. He does this much more than most of the other sitting Congressional Presidential candidates. So why was he absent for the final vote on the ESSA? Was that done on purpose, and if so why? Could it be an attempt to distance himself from this legislation? Or is it an attempt at plausible deniability – a way of justifying both his approval and disapproval of the same legislation? This puts would-be-supporters in an uncomfortable position. We like what Sanders has to say about the economy and poverty, but we have little to go on when it comes to K-12 education. Certainly if Sanders was elected President and came through with all of his other promises, that would help our public schools tremendously. And since Sanders has been fighting for these things his entire lengthy political career, it’s hard to doubt his sincerity. But why not include education as part of this platform? It seems to fit perfectly with everything else he believes. On the other hand, there’s Clinton. She is making a real effort to clarify her education positions. In fact, last week’s gaffe was part of a much larger policy speech on K-12 schools. Sander’s reply – though better stated – was a one off. It was a sound-byte. It was an applause line. It didn’t have much substance behind it. How are we to take it? Would Sanders hire more teachers as part of a nationwide education equity policy? If so, what exactly is that policy? Or is he – like Clinton – in favor of closing some struggling schools? Certainly Clinton has a credibility problem. One of her first actions on the public scene as the First Lady of Arkansas in 1983 was to fight against the state teachers union to enact accountability-based school reform. Many of the billionaires and shady think tanks that are working so hard to destroy public schools have donated heavily to her campaign. Her endorsement by both major teachers unions – the National Education Association and American Federation of Teachers – were allegedly the result of leadership and not rank and file members. But unlike Sanders, Clinton actually seems to care about getting the education vote. She is actively fighting for our advocacy. Bernie doesn’t seem to think he needs us. The Democratic Primaries are about two months away. If Sanders is going to make a play for teachers, parents, students and education advocates, he still has a chance. But time is running out. Personally I’d rather vote for him, and maybe I will. But if he finally came out swinging, if he actually made me feel like he’d strip away the high stakes testing, unproven or failing policies and put teachers in the drivers seat – he could get so much more. There are tens of thousands of teachers and advocates standing on the sidelines looking to Bernie. If he gave us a major policy speech, he’d find his campaign offices flooded with new volunteers. Educators would take to the streets and phone banks. We’d lead the charge. We could help turn the tide in a Democratic primary where the margin of victory could well be razor thin. We’re out there, Bernie. Just say the word and we’ll come running. We want to Feel the Bern, but you’ve got to turn up the heat! NOTE: This article also was published in Commondreams.org and the LA Progressive. The above comments have caused a tremendous stir in the media lately. Hillary Clinton wants to close half of all public schools!? She wants to shutter all public houses of learning that are average or below average!? The Federalist even did some quick math and decided this means Clinton would shutter 50,000 schools. They even put that number in the headline of their article! But hold your horses, media backlash. I’m not really a Hillary supporter, but this has gotten a little out of hand. Maybe I’m being too generous here, but I’m going to assume that Clinton may be a lot of things, but stupid isn’t one of them. She made a gaffe. She said something that doesn’t make much sense mathematically. Close all schools below average? Average means 50%. That’s half of all schools. It was a blunder, a mistake, a foot-in-the-mouth moment. I can believe a lot about Clinton, but not that her education policy includes shuttering half of our nation’s schools. However, don’t take my word for it. Seriously! Ask her. She should clarify what she meant. But give her a chance to do so. Don’t mob her just looking to trip her up. I doubt I’ll vote for Hillary in the primary, but she deserves a certain modicum of respect. She is an impressive person. She’s accomplished a heck of a lot in her life under some pretty intense circumstances. As a college student in the 1960s, she volunteered to teach reading to children in poor Boston neighborhoods. She fought to ensure voting access for African Americans and even worked at an alternative newspaper in the black community. As First Lady and in Congress, she pushed for universal pre-kindergarten, arts education, after-school tutoring, smaller class sizes and the rights of families. And in 2008 she ran an impressive – if ultimately unsuccessful – campaign for President. As one of the most prominent women in the nation, she’s made some enemies. Remember that Benghazi nonsense! Conservatives have been out for her blood because an American diplomatic compound in Libya was attacked in 2012 while Clinton was Secretary of State. They’ve trumped up a crazy amount of lies and innuendo that she was somehow responsible when it was the Republican-controlled Congress that voted to reduce security at these installations. Heck! Michael Bay has a hatched job movie coming out during this election season just to wound Clinton’s current bid for president! So give the woman some credit. She’s proven she’s a serious-minded, intelligent and capable politician. However, like every human being she misspeaks from time-to-time. George W. Bush couldn’t open his mouth without English teachers and grammarians hiding under the sofa. I think this explains much of what she said in Iowa trying to consolidate votes for the first Democratic primary on Feb. 1, 2016. It explains much – but not all. Clinton may have fudged her math momentarily forgetting that 50% of all schools are – and always will be – below average. If tomorrow every school in the country provided the greatest education the world has ever seen, half of them would still be below average. That’s what average means. What bothers me is that Clinton thinks we should be closing schools at all. That’s not a slip. That’s not a blunder or a miscalculation. She really seems to believe you can improve public education by closing schools. And THAT is much more dangerous than any nonsense about her going on a nationwide school shuttering spree – something of which she would not, by the way, even have the power to do as President. This idea that we can close schools to improve education is one of the founding principles of corporate education reform. And it’s demonstrably untrue. Never has a school ever been improved by being closed. Student academic outcomes do not increase when children are displaced. In fact, they suffer. If schools are struggling, a sensible strategy would be to find out what’s wrong. What is the reason kids are having trouble reaching academic success? Spoiler Alert: nine times out of ten the problem is disinvestment. The school doesn’t have adequate resources to meet students’ needs. More than half of our nation’s public school children live in poverty. Their schools don’t get equitable funding with districts that serve the rich. 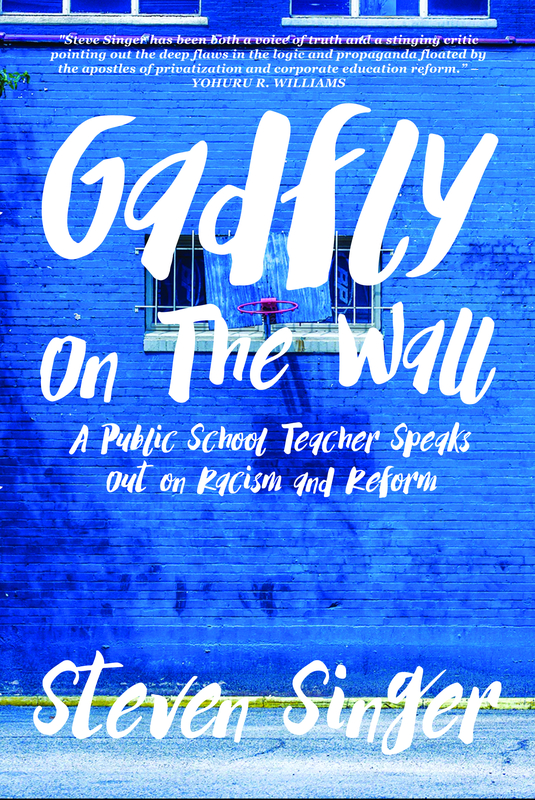 Moreover, privatization, charterization, increased efforts at vouchers, tax breaks and school choice have segregated our schools to such a degree that these problems disproportionately affect our students of color to a much larger degree than white children. THAT is the problem with American education. It’s been proven time and again in study after study. Yet corporate education reformers like Michelle Rhee, Campbell Brown, Bill Gates, and Andrew Cuomo continue to ignore the facts in favor of simply closing more schools. In his time as Mayor, Rahm Emanuel has closed 50 Chicago schools – 46 of which serve mostly black and brown students. And he’s a close Clinton friend. It is no accident that so many of these corporatists are Democrats. The entire neoliberal wing of the party is sick with these sorts of conservative policies. And Clinton can be connected with many of them. Since getting the support of the American Federation of Teachers (AFT) and National Education Association (NEA), Clinton’s tried to distance herself from her disaster capitalist buddies. But it isn’t working. On the one hand, she criticized charter schools for ignoring the most difficult students. On the other, she still champions keeping privatized education in the mix. On one hand, she thinks there should be a federal investigation of the Chicago Police Department for civil rights abuses. On the other hand, she thinks Rahm is doing a heck-of-a job. I am deeply troubled that Clinton seems to think we can close our way to academic success. She should know better than that by now. Everyone should. It is absolutely unacceptable that any candidate with such teacher support should hold these views. Quite frankly, it’s a deal breaker. The ball’s in your court, Hillary. You need to explain what you meant by your Iowa comments. I admire Clinton’s bravery for actually talking about K-12 education – something her rival Bernie Sanders seems much less inclined to do. However, we all know Clinton’s endorsements by the AFT and NEA don’t represent the views of the rank-and-file. These were top down decisions made without much member input. If Hillary wants those endorsements to translate into votes, she’d better do some serious convincing. Otherwise it won’t be schools that are shuttered. It will be her campaign. NOTE: This article also was published on the Badass Teachers Association Blog and mentioned on Diane Ravitch’s blog. As a public school teacher, I see many things – a multiplicity of the untold and obscure. On a daily basis, I see the effects of rampant poverty, ignorance and child abuse. I see prejudice, racism and classism. I see sexism, homophobia and religious intolerance. And hardly any of it comes from my students. Despite what some people might say in the media, on Facebook or at the local watering hole, the kids are all right. It’s what we, the adults, are doing to them that’s messed up. It’s always been in fashion for grown-ups to trash the next generation. At least since Hesiod bemoaned the loss of the Golden Age, we’ve been looking at the current crop of youngsters waiting in the wings to replace us and found them lacking. They just don’t have our drive and motivation. In my day, we had to work harder than they do. If only they’d apply themselves more. It’s all untrue. In fact, today’s children have it harder than children of the ‘70s and ‘80s did when we were their age! Much harder! For one thing, we didn’t have high stakes standardized tests hanging over our heads like the Sword of Damocles to the degree these youngsters do. Sure we took standardized assessments but not nearly as many nor did any of them mean as much. In Pennsylvania, the legislature is threatening to withhold my students’ diplomas if they don’t pass all of their Keystone Exams. No one blackmailed me with anything like that when I was a middle schooler. All I had to do was pass my classes. I worried about getting a high score on the SAT to get into college, but it didn’t affect whether I got to graduate. Nowadays, kids could ace every course for all 13-years of grade school (counting Kindergarten) and still conceivably only earn a certificate of attendance! Try using that for anything! Moreover, my teachers back in the day didn’t rely on me so they could continue being gainfully employed. The principal would evaluate them based on classroom observations from time-to-time to assess their effectiveness based on what he or she saw them doing. But if I was having a bad day during the assessment or if I just couldn’t grasp fractions or if I was feeling too depressed to concentrate – none of that would affect my teacher’s job rating. None of it would contribute to whether my teacher still had an income. Think of how that changes the student-teacher relationship. Now kids as early as elementary school who love their teachers feel guilty on test day if they don’t understand how to answer some of the questions. Not only might their score and future academic success suffer, but their teacher might be hurt. That’s a lot of pressure for people who’ve just learned how to tie their shoes. They’re just kids! In many cases, the educator might be one of the only people they see all day who gives them a reassuring smile and listens to them. And now being unready to grasp high-level concepts that are being hurled at kids at increasingly younger ages may make them feel responsible for hurting the very people who have been there for them. It’s like putting a gun to a beloved adult’s head and saying, “Score well or your teacher gets it!” THAT’S not a good learning environment. Finally, child poverty and segregation weren’t nearly as problematic as they are today. Sure when I went to school there were poor kids, but not nearly as many. Today more than half of all public school children live below the poverty line. Likewise, in my day public policy was to do away with segregation. Lawmakers were doing everything they could to make sure all my classes had increasing diversity. I met so many different kinds of people in my community school who I never would have known if I’d only talked with the kids on my street. But today our schools have reverted to the kind of separate but equal mentality that was supposed to be eradicated by Brown vs. Board of Education. Today we have schools for the rich and schools for the poor. We have schools for whites and schools for blacks. And the current obsession with charter schools and privatization has only exacerbated this situation. Efforts to increase school choice have merely resulted in more opportunities for white flight and fractured communities. These are problems I didn’t face as a teenager. Yet so many adults describe this current generation as “entitled.” Entitled to what!? Less opportunity!? Entitled to paying more for college at higher interest for jobs that don’t exist!? And don’t get me started on police shootings of young people. How anyone can blame an unarmed black kid for being shot or killed by law enforcement is beyond me. Children today are different. Every few years their collective character changes. Today’s kids love digital devices. They love things fast-paced, multi-tasked and self-referential. But they don’t expect anything they haven’t earned. They aren’t violent criminals. As a whole they aren’t spoiled or unfeeling or bratty. They’re just kids. In fact, if I look around at my classes of 8th graders, I see a great many bright, creative and hard-working young people. I’m not kidding. I teach the regular academic track Language Arts classes. I don’t teach the advanced students. My courses are filled with kids in the special education program, kids from various racial, cultural and religious backgrounds. Most of them come from impoverished families. Some live in foster homes. Some have probation officers, councilors or psychologists. They don’t always turn in their homework. Sometimes they’re too sleepy to make it through class. Some don’t attend regularly. But I can honestly say that most of them are trying their best. How can I ask for more? The same goes for their parents. It can be quite a challenge to get mom, dad, grandma, grandpa, brother, sister or other guardians on the phone. Parent-teacher conferences are very lonely in my room while the advanced teacher is mobbed. But I don’t generally blame the parents. In my experience, most moms and dads are doing the best they can for their kids. Many of my student’s have fathers and mothers working multiple jobs and are out of the home for the majority of the day. Many of my kids watch over their younger brothers and sisters after school, cooking meals, cleaning house and even putting themselves to bed. I wish it wasn’t like that, but these are the fruits of our economy. When the recession hit, it took most of the well-paying jobs. What we got back was predominantly minimum wage work. Moreover, people of color have always had difficulty getting meaningful employment because of our government sanctioned racial caste system. Getting a home loan, getting an education, getting a job – all of these are harder to achieve if your skin is black or brown – the same hue as most of my students and their families. So, yes, I wish things were different, but, no, I don’t blame my students. They’re trying their best. It’s not their fault our society doesn’t care about them. It’s not their fault that our nation’s laws – including its education policy – create a system where the odds are stacked against them. As their teacher, it’s not my job to denigrate them. I’m here to lift them up. I offer a helping hand, not a pejorative finger. And since many of the factors that most deeply affect education come from outside the school, I think my duty goes beyond the confines of the classroom. If I am to really help my students, I must be more than just an educator – I must be a class warrior. So I will fight to my last breath. I will speak out at every opportunity. Because my students are not to blame for society’s ills. They are the victims of it. NOTE: This article also was published in Wait What?, and the Badass Teachers Association Blog. NOTE: This article also was published in full on Diane Ravitch’s blog, Commondreams.org, and the Badass Teachers Association Blog. President Barack Obama signed the Every Student Succeeds Act (ESSA) this week. The new legislation reauthorizes federal law governing K-12 public education. In 1965 we called it the Elementary and Secondary Education Act (ESEA). Until today we called it No Child Left Behind (NCLB). And now after a much-hyped signing ceremony, the most definitive thing we can say about it is this: federal education policy has a new name. Does it reduce the federal role in public schools? Maybe. Does it destroy Common Core State Standards? Possibly. Is it an improvement on previous policies? Potentially. Will it enable an expansion of wretched charter schools and unqualified Teach for America recruits? Likely. The problem is this – it’s an over 1,000 page document that’s been open to public review for only two weeks. Though it was publicly debated and passed in the House and Senate, it was finalized behind closed doors and altered according to secure hurried Congressional votes. As such, the final version is full of legal jargon, hidden compromise, new definitions and verbiage that is open to multiple meanings. How one reader interprets the law may be exactly the opposite of how another construes it. Take the much-touted contention that the ESSA reduces the federal role in public schools. Even under the most positive reading, there are limits to this freedom. The document continues to mandate testing children each year in grades 3-8 and once in high school. It also mandates academic standards and accountability systems. However, what these look like is apparently open to the states. The Secretary [of Education] shall not have the authority to mandate, direct, control, coerce, or exercise any direction or supervision over any of the challenging State academic standards adopted or implemented by a State. That seems pretty clear. The federal government will not be able to tell states what academic standards to adopt or how student test scores should be used in teacher evaluations. But it also says that states will have to submit accountability plans to the Department of Education for approval. It says these accountability plans will have to weigh test scores more than any other factor. It says states will have to use “evidence-based interventions” in the schools where students get the lowest test scores. That sounds an awful lot like the test-and-punish system we have now. What if your state decides to take a different road and reject the high stakes bludgeon approach to accountability? In that case, some readers argue schools could lose Title I funds – money set aside to help educational institutions serving impoverished populations. Will that actually happen? No one knows. It may depend on who will be President in 2017 and whom that person picks as Secretary of Education. And even if the Feds try to take advantage of these potential loopholes, the matter could end up being decided by the U.S. Supreme Court. Some readers interpret the new law as destroying forever the possibility of national academic standards. If states are allowed to pick their own standards, it is highly unlikely they’ll all pick the ones found in the deeply unpopular Common Core. However, the law does force each state to have academic standards of some kind, and it defines what those standards must look like. One interpretation of this is that they must look a lot like the Common Core. They must be “state-developed college- and career-ready standards.” You read that right – “College and career ready.” That’s the Common Core catchphrase. If someone says they want to eat lunch at “the golden arches,” they haven’t said McDonalds, but you know they’re craving a Big Mac. Will the Fed allow states to choose standards radically different than the Core? Again only time and – possibly – the courts can tell. This same problem occurs throughout the document. As the public painstakingly combs through it, new legal wiggle room may be found. And I am not so naive as to suppose we’ve found all of the loopholes yet. Some of these may be the result of poorly chosen wording. Others may be purposefully hidden time bombs waiting for opportunists to exploit. This uncertainty about exactly what the ESSA will eventually mean for our public schools may help explain the range of reactions to the formative law – from ecstasy to despair to shrugs and snores. I’m not sure what to think of the thing, myself. I started the whole process disgusted but came around to accepting it if the final result was any kind of improvement over previous legislation. And now that it’s the law of the land, I look at this Frankenstein’s monster of a bill – stitched together pieces of mystery meat – and I don’t know whether to laugh or cry. I still hope it will live up to the limited promise it holds to bring us some relief from NCLB. But I admit this thing could go sour. Anyone’s guess is as good as mine. Which brings me to perhaps the biggest problem with this law that no one seems to be talking about. Education needs reformed. We need to repeal the bogus policies that have been championed by the 1% and their lapdog lawmakers. We need to get rid of test-based accountability. We need to trash high stakes testing, Common Core, value added measures, charter schools and a host of other pernicious policies. We need to initiate a real anti-poverty program dedicated to attacking the actual problem with our schools – inequality of resources. But more than any of that, we need to reform our government. We need to find a better way to make our laws. The process that shat out this ESSA must go. Think about it. No Child Left Behind was an abject failure by any metric you want to use. It didn’t close achievement gaps – it increased them. And the major policy of this law – annual standardized testing – remains intact in the reauthorization! There has been massive public outcry against annual testing. Parents are leading an exponentially growing civil disobedience movement shielding their children from even taking these assessments. Everyone seems to agree that we test kids too much – even President “I’ll-veto-any-bill-that-deletes-testing” Obama. Yet our legislators did next to nothing to fix this problem. Instead preference was given to lobbyists and corporatists interested in making a buck off funding set aside to educate children. The focus was on smaller government – not better government. These aren’t mutually exclusive, but they aren’t exactly one-and-the-same, either. This can’t continue if we are to keep pretending we have a representative Democracy. The voice of lobbyists must not be louder than voters. Money must be barred from the legislative process. Demagoguery must not overshadow the public good. We need transparency and accountability for those making our laws. Until that happens, we will never have a sound and just education policy, because we don’t have a sound and just government. Unfortunately, that is the biggest lesson of the ESSA. NOTE: This article also was published in the LA Progressive, Badass Teachers Association Blog and quoted extensively on Diane Ravitch’s blog.